I guess I would say my success story would include the great group of people at Minelab Chicago.I had to send my E-TRAC in for repair to find out I had a bad touch pad which probably caused by being in the rain to much (Use the covers guys!). After them calling on a Thursday with the repair cost which I thought was a great price I mentioned I sure would like to have it for the weekend. I couldn't believe it they had shipped it fast enough that I got back Friday. 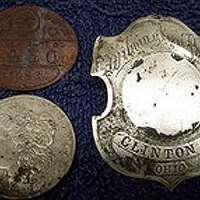 Excited to try it out being all tuned up and repaired I headed out that weekend and was it hot within a half an hour I dug up a 1904 Morgan Dollar and old Police Badge which my buddy Chris is helping me find the year and Ohio Chauffeurs badge. What a Day! 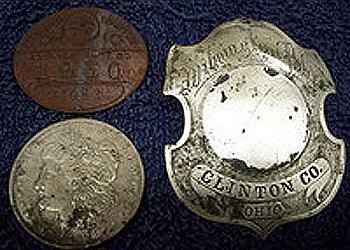 Again I want thank the group of Minelab with great support! Happy Hunting!